Keane offers a variety of both free and fee-based escheatment training & educational programs where you can learn how to effectively manage the unclaimed property reporting process. From in-house training and annual education summits to regional roundtables and real-time legislative alert emails, we offer you information on the latest regulatory changes, current best practices, and strategies for effectively optimizing internal policies and procedures. With 55 jurisdictions and increasing state and federal regulations, the escheatment reporting process is notoriously complex and constantly evolving. Unless your role is totally dedicated to unclaimed property compliance, staying ahead of the continually changing rules is virtually impossible. Yet, in this environment of heightened enforcement and risk of audit, ignorance simply isn’t a viable option. Luckily, Keane provides escheatment training in various ways, so you can choose the method that best suits your company’s needs. Clients routinely call upon us to design and deliver custom programs to build employees’ knowledge and skills. We can craft programs for all levels of employees – from junior accounting personnel to executive managers. Conducted in person or online, these programs help ensure that all relevant employees have a working knowledge of escheat compliance requirements. Knowledgeable and passionate about unclaimed property law, Keane’s specialists are available for speaking engagements on-site or via web seminars. Contact us to learn more and for availability. Keane hosts complimentary unclaimed property forums in cities across the country. During these meetings, attendees engage in discussion about industry updates, policy changes, compliance challenges and solutions, audit activity, and preparations for the upcoming escheat reporting season. These seminars are an excellent way to spend a few hours with our unclaimed property specialists and receive escheatment training. Click here to view our upcoming Regional Events Calendar.  Our unclaimed property experts routinely contribute to scholarly articles and other thought leadership publications. In addition, we publish Keanotes®, a periodic review and analysis of new laws and policies, the latest trends, and emerging opportunities within the realm of unclaimed property. This publication and its archives are available free of charge on the web. We invite you to register for Keanotes. By registering to receive Keanotes, you’ll also receive real-time legislative alerts via email, keeping you and your team up to date on breaking news that impacts the escheatment process. Questions? Call us at 866-848-8896 and speak with an Unclaimed Property Specialist. You can also email us at Questions@KeaneUP.com.